Fengate is honoured to be recognized as one of Canada’s Best Managed Companies for the twelfth consecutive year. This annual list is Canada’s leading business awards program, focusing on the excellence in private Canadian-owned companies. Each year, hundreds of entrepreneurial companies undergo a rigorous application process, but only the best are awarded with this prestigious designation. 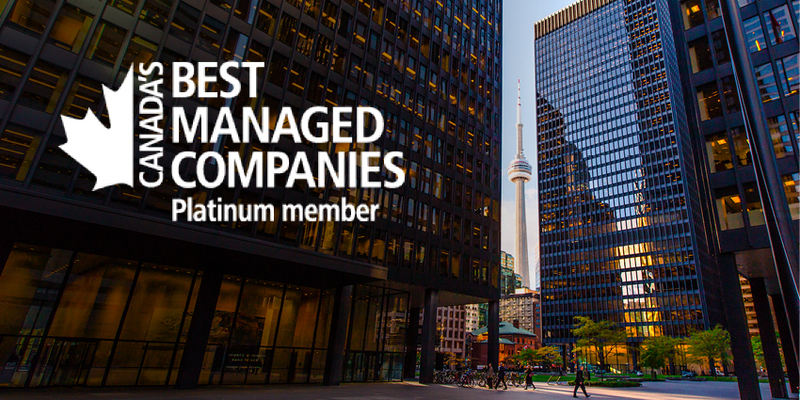 Fengate has maintained its Platinum Club Member status with Canada’s Best Managed Companies, which recognizes firms that have earned the honour of a spot on the list for seven years or more straight years. Congratulations to all the winners of this important award. Click here to see full list.